The Democrats now have their rock star in the ever-growing presidential race. On Thursday, Robert Francis “Beto” O’Rourke officially launched his bid for the presidency. Beto is hoping to capitalize on the excitement that surrounded his losing U.S. Senate race last year in Texas. Despite a massive haul of $80 million, O’Rourke was defeated by incumbent U.S. Senator Ted Cruz (R-TX). In other words, if Americans do not elect Beto as their next President, the world may self-destruct. Clearly, this candidate is a total clown. His political experience is minimal, consisting of six years on the El Paso City Council and six years as a United States Representative. While in Congress, O’Rourke’s legislative accomplishments consisted of passing exactly one bill, naming a local courthouse. When House Speaker Nancy Pelosi was asked about O’Rourke’s record in Congress, she fumbled for an answer, eventually praising his “vitality.” She also said that he was a “real champion for the environment,” although she could not list any specific legislation he supported. Beto is like a mirage or a dream concocted by Hollywood liberals looking for the next John F. Kennedy or Barack Obama. According to his supporters, Beto is good looking, intelligent, and charismatic; however, even his admirers must admit that he surely lacks gravitas. How can a presidential candidate who skateboards onto a stage be taken seriously? Presumably, Beto believed that live streaming his recent teeth cleaning procedure was a smart thing to do to connect to millennial voters, but, in actuality, it just made him look ridiculous. Would Ronald Reagan bring cameras into the dentist’s office? Of course not, remember this was the President who never removed his coat jacket in the Oval Office because he was so concerned about maintaining dignity and decorum in the White House. 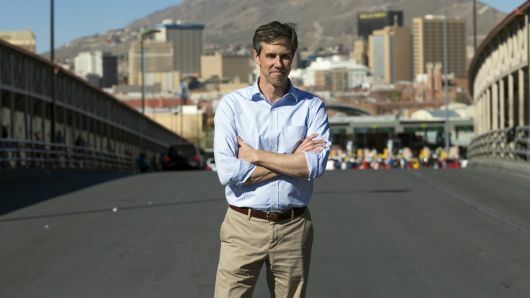 If elected President, Beto may erect a skateboard ramp in the Oval Office, so he can show off his skills to admiring reporters. Beto is 46 years old, but he acts like he’s a teenager. He exudes little maturity or wisdom, only youthful exuberance. His positions on the issues are vague. In fact, on his website after his launch, there was a link to donate money and buy campaign gear, but no information about his platform. While he decides on a platform, Beto also may want to fire his speechwriter. As he spoke to voters on the campaign trail in Iowa on Thursday and Friday, Beto joked that his wife was raising their three kids “sometimes with my help.” Immediately, he was blasted by outraged Democrats for parental stereotyping and comments that were considered sexist, condescending, and even misogynistic. By the end of the day, Beto apologized and claimed that he would be “more thoughtful going forward in the way that I talk about our marriage." Well, Beto, the answer to your question is a resounding “Yes!” The U.S. Constitution is one of the main reasons that our country is a superpower today. The genius of the Founding Fathers has been proven over and over again during our history. All Americans should thank God that the U.S. Constitution has been our guiding document. Thankfully, our country does not have a direct democracy as certain inalienable rights are guaranteed by our U.S. Constitution and cannot be infringed. Beto needs to mature as a person and a candidate and become educated about the country he wants to represent. Obviously, with a campaign launch littered with embarrassing gaffes, it is clear that Beto is more qualified to become President of a skateboarding club than President of the United States of America.